Listening to our favorite tunes, while driving on the open road is an idyllic scene, and with good reason. What is better than a great-sounding stereo blasting your favorite song with deep, full bass? This is why many people choose to upgrade the stock stereo that comes with their car. Most stock car stereos just don’t cut it. When you turn the volume up, the sound becomes tinny. The bass lacks oomph and sometimes there’s vibration, which further deteriorates the quality of the sound. In this guide, we will discuss what subwoofers are and how they work. 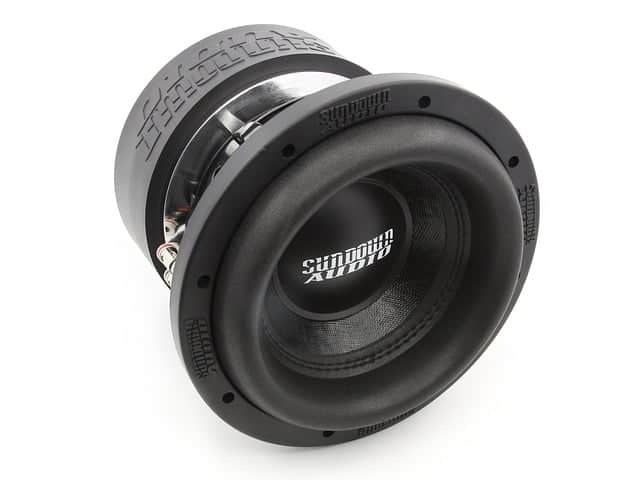 We’ll outline their benefits and the things you should keep in mind when shopping for car subwoofers. 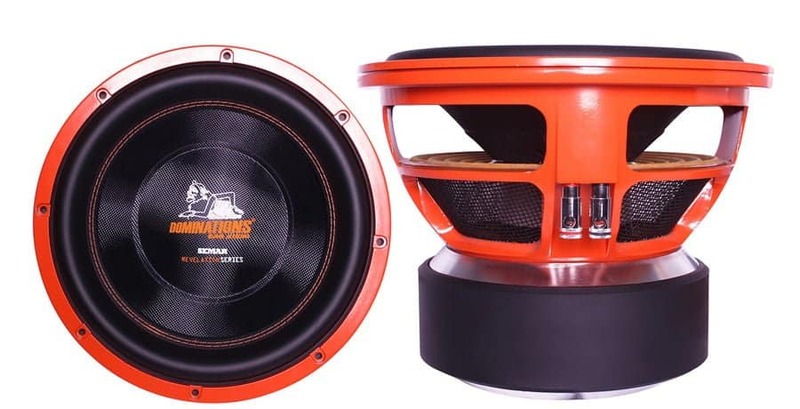 Finally, we’ve done the research for you and found five of the top models of the best 10” car subwoofers to help you select the right option for you. A well-chosen and professionally installed car audio system is a great way to enjoy the highest quality audio on the go. A car audio system is just that, a system. There are multiple components that come together to create the full, crisp, and layered sound that a good system can offer. 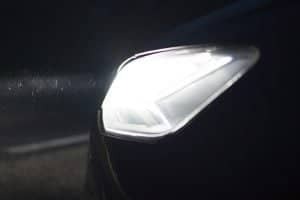 The three main components of a car audio system are the tweeter, midrange speaker, and woofer. Obviously, there is a lot more that goes into it, but these are the main speaker units that come together with other components to form the stereo system. 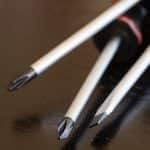 Depending on what type of music you listen to and how big a budget you have will determine what part of the audio system you might want to put the most resources towards. For now, we’ll focus on quality bass and how to select a subwoofer that will meet your needs. A subwoofer, often called a sub or a woofer, is a speaker that is designed to reproduce low-frequency sounds. 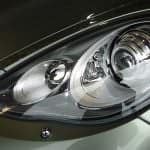 Generally, the range is about 20-200 hertz, in terms of what is commercially available for consumers on the market place. These speakers are intended to provide fuller, deeper bass, in tandem with midrange speakers and tweeters that reproduce the higher frequency sounds. Depending on your setup, you will need one or more high-quality subwoofers to get the best possible bass sound. Obviously, a good subwoofer is going to be part and parcel to get the best bass and full sound possible. However, the woofer alone is not all that will affect the quality of the sound. The enclosure that the woofer is housed in will also make a difference in the quality of the bass. Having a good subwoofer enclosure is actually an integral part of getting the full bass sound out of your woofer. When it comes to choosing the right enclosure, you first have to decide whether or not you want to build it yourself or buy a premade enclosure for your woofers. The benefit of building your own is that you can tailor the enclosure to the exact needs of your woofer and your vehicle. The downside is that you have to construct your own enclosure and not all of us are adept at this type of endeavor. In addition to some carpentry skills, you also need a good understanding of how the enclosures will affect the sound. You’ll want it to be designed so as to best amplify the sound. Most of us do not have this skill and knowhow, which is why most people will end up getting a pre-made enclosure. There are tons of high quality, pre-made enclosures available to help provide deep, full bass. There are three main types of enclosures: sealed, ported, and bandpass. A sealed enclosure fits snugly around the woofer and is designed to save space. This is the type of enclosure that is most often used in smaller vehicles. This setup provides very clear and high-quality sounds. The downside is that it takes more power when you turn up the volume than other setups. 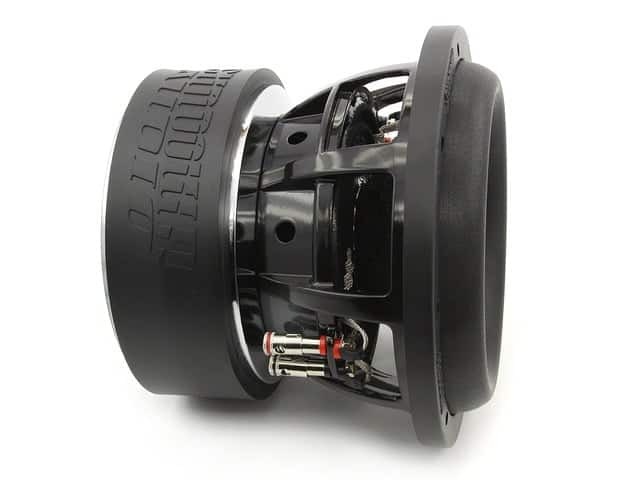 A ported enclosure is essentially a sealed enclosure with a port on one side that helps to amplify the sound. This gives you louder sound for less power. It helps amplify the bass of the woofer, making it a great option for people who like rap and other bass-heavy music. The downside of this type of setup is that it is a lot more difficult to set up. It can take quite a bit more tweaking on all elements of the system to get the sound quality you are looking for. Finally, we have the bandpass setup. This setup is best suited for vehicles that have larger spaces available for audio equipment. As with the ported setup, you get a louder volume for less power with this setup. It is better suited for music with a lot of low-frequency sounds. It requires a lot more tuning than the other setups. However, it has the flexibility to allow for specific ranges and frequencies to be reproduced louder than other frequencies. 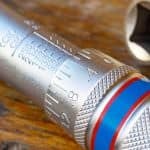 This quality makes the bandpass setup stand out from the rest. 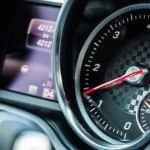 A car audio system is an investment, so it is important to do a little research and know what you need before you begin shopping. This will help to ensure that you get the woofer you want, while staying within your budget. Firstly, woofers from well-known and reputable manufacturers with warranties are always recommended as you get that peace of mind with proven quality. You will need to know what type of woofer is going to work best for your music tastes. You’ll also want to be aware of space constraints in your vehicle. This will also help you choose the best type of enclosure for your woofers—whether you build your own or buy a premade box. 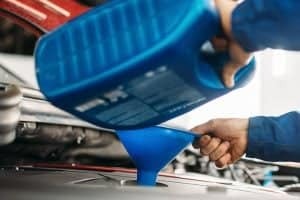 You will need to pay attention to the power needs of the woofer to ensure that your vehicle can handle the power requirements of a given system. You will want to know how difficult the system is to tweak, how sensitive it is, the volume range, and so on. 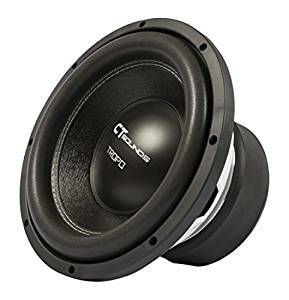 CT Sounds Tropo Subwoofer is a top-rated car audio speaker maker that has a wide range of different options available for a range of different budgets. The Tropo 10” subwoofer is a high-quality subwoofer that boasts a deep, full bass without breaking the bank. For around $100 per woofer, the Tropo subwoofer is a great value and is well-rated. It is a good blend of quality and value and is a great choice for those who want an all-purpose subwoofer. 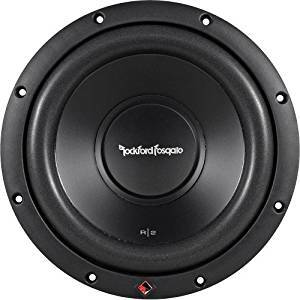 Rockford Fosgate is a time-honored audio company that is known for providing excellent, all-purpose audio solutions at an affordable price. The R2D4 is a wonderful choice for people who want a woofer that is durable and can handle the burden of bass-centered music. When properly installed, the R2D4 subwoofer offers a deep, full bass without vibration or distortion. The biggest complaint associated with this woofer is that it has a fairly low wattage compared to other woofers, meaning it cannot be used at as high of a volume without distortion. BOSS AUDIO is a newer company that specializes in quality audio equipment. Their line of subwoofers gives you quality sound without breaking the bank. The BOSS AUDIO CXX10 Chaos Extreme Subwoofer gives quality surround sound and deep, clear bass that gives your music a richer, fuller sound. At less than $30 a speaker, the CXX10 Chaos Extreme subwoofer might be the best choice for someone who wants a good, yet basic, car audio setup. This is a great basic model for people who want a higher quality sound than you get with a stock audio system, but don’t need a high volume or intensely deep bass. 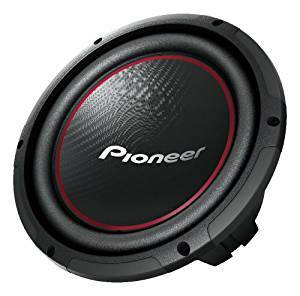 Pioneer is a long-trusted home and car audio company that is known for making some of the highest quality audio products on the market. Their affordable, Pioneer TS-W254R Component Subwoofer is one of the best values for the money. You get the trusted quality and durability of Pioneer at a price you can afford. This is one of the highest rated subwoofers for less than $50 per unit. Pioneer’s Component Subwoofer provides full, deep, resonant sound. The biggest complaint is that this is a small unit, so while it provides a good level of bass, for those who really want that BOOM experience, it might not meet your needs. 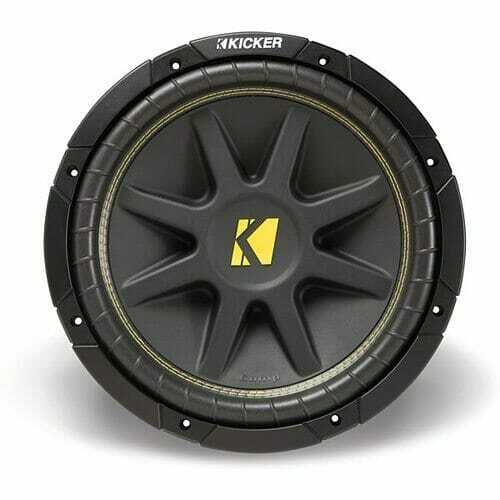 Kicker is another great midrange value when it comes to car audio. 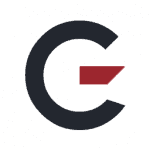 Their subwoofers are highly rated and often ranked at the top of the “best under $100” lists. You get loud, full, deep, rich bass without distortion, even at high volumes. Kicker 10C104 Subwoofer is the priciest subwoofer that made our list, but it is still less than $75 per unit. For the discerning listener who wants to be able to really showcase the base, this might be the right choice for you. 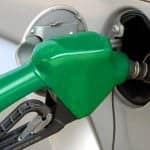 If you are looking for a good, deep kick at a decent price point, this might be a great option. They fit easily into most vehicles and are highly rated and recommended by car audio enthusiasts. The biggest complaint about the 10C104 is that it does not have the sensitivity that other models have, which allows for more targeting of sound quality. A well-chosen car audio system will dramatically enhance your music listening experience. 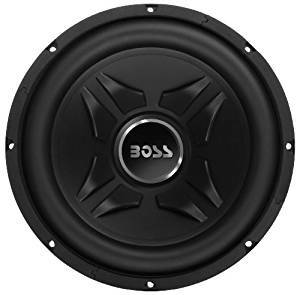 With a bit of knowhow and an understanding of what factors to take into consideration, it is simple to choose the best 10” subwoofers for your needs. GarageChief has described the basic functions of a subwoofer to give you a general understanding of how a woofer works. You should now know the different ways that speaker enclosures can be configured, and the pros and cons of each type of setup. 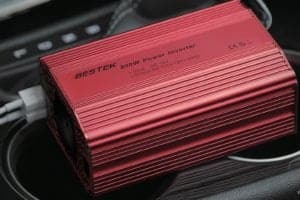 Our reviews showed that all models described here are high quality and will work for basic car audio setups. Which particular model will be the best for you will depend on your musical taste, space constraints, and budget.